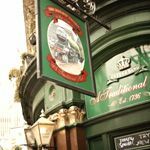 A charming old City and commuters pub with 3 bars to cater for your every need. We also can hold functions upon request. Sky Sports, quite areas and PA systems for quizzes are just some of the things we have here. Please enquire for anything else, see you soon kids. The Railway Tavern is a big pub that is worth a look if you're waiting for a train in the area. It has a modern decor without trying too hard to be trendy and lots of flat screen TVs that make it an easy place to watch the football. They have a mezzanine level which has very comfy sofas, however, negotiating the narrow spiral staircase becomes difficult when transporting drinks. The Railway Tavern is not as expensive as some in the area, but still not exactly cheap. The Railway Tavern is in a good location opposite Hackney Central Station. Fairly cheap and friendly, you could do a lot worse than having a drink in the Railway Tavern while you’re waiting for your train. The Railway Tavern is a Victorian pub located across the road from Liverpool Street station, popular with city bods from the mature member of staff who needs a pint before the journey home or the slightly younger whipper-snapper who’s looking for a watering hole to occupy before heading to a club with similarly dressed colleagues. 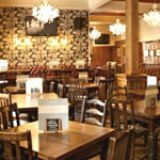 The Railway Tavern is a large venue that has a spacious ground floor and a tattered, winding staircase leading to a dining area. There is also a space taken up by sofas for those relaxed, end-of-the-week-style moments. The main space caters for big groups and is ideal for watching sporting events on the big screens. A number of stools are placed underneath a long bar by a row of windows, which look out onto the station, perfect for a spot of people-watching at rush hour. The feel of the place is very basic and traditional with ornate furnishings and warm light shimmering from floral wall lamps. There is little ambience on the ground floor, given that it feels a little like a railway waiting room rather than a railway tavern. People come and go seemingly in time with the departures and arrivals of the trains opposite. 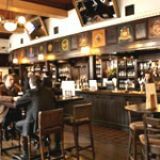 However, the bar staff are very friendly and accommodating, which certainly helps this venue as it does falls short of a genuine buzz. It’s advisable that, if you’re looking to stick around, you should travel upstairs to the relaxed area where there is a more comfortable, cosy vibe. There used to be a recognisable pizza establishment above the pub, tied in as the official restaurant. 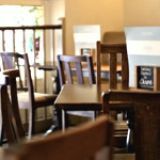 This has now disappeared in favour of a more traditional restaurant, serving reliable British pub fare such as steaks, sandwiches and wraps, making the place very popular at lunchtimes. There is a fine range of beers and ales available, including the legendary Abbots Ale, the delightfully hoppy and clean-tasting Greene King IPA, and Morland Bitter. A rewarding wine list is also on offer, ideal for taking up to the next floor and sharing with someone on the sofa during a romantic interlude. If you’ve just missed the 18.02 and the next one won’t be along until 18.32, then pop into the Railway Tavern for a quick beverage before it arrives. Yuk this is definitely one to avoid - had the misfortune to visit this pubs upstairs restaurant at lunchtime today with my wife. I didn't realise that there were still pubs serving food of such poor quality nowadays... All vegetables stone cold, mashed potato lukewarm and steak and ale "pie" of such poor quality - just a congealed mass of meat with no gravy beneath a pastry lid - not fit to be served. Purely based upon quality of food this is rated as a zero - although to be able to process these comments I have reluctantly had to award a star that is simply not deserved. Considerable room for improvement.